The Spanish Left, under a new united banner – Unidos Podemos – seems on course for a major breakthrough in general elections on 26 June. This prospect raises for many a whole new spectre of hope and possibility for real change. For the second time in the last few years, the genuine Left could be in a position to implement an alternative programme. Learning the lessons of the first, failed, experience of Syriza in Greece will be decisive to the opportunities being seized in Spain and elsewhere. Here, we examine the reaction of important sections of the Left in Portugal and Spain to Syriza’s betrayal, with special reference to positions and attitudes towards the capitalist EU and Euro. When Alexis Tsipras and the Syriza leadership betrayed the heroic “OXI” of the Greek working class in last summer’s austerity referendum, it was not only that party, or even only the Greek working class which was dealt a blow. Tsipras’ capitulation also represented a “before and after” moment for Left wing politics in Europe. The position which had been defended by the majority of European Left leaders – from Syriza, to the Portuguese left Bloc, to Podemos in Spain – over previous years had been reasonably clear, and more or less unanimous. They defended the implementation of a left, anti-austerity (while not anti-capitalist or socialist) programme against Troika diktats, while simultaneously posing as defenders of the European Union and Euro projects. Leaving the EU or euro was never put on the table. Austerity was “killing our EU and Euro”, they explained, and Left governments and policies were required to save it. In Greece, this approach faced its first test in practice since the beginning of the current crisis. It was the position of Syriza, whose electoral victory was the result of the collapse of the ex-social democratic PASOK following its terms in power, and a protracted period of class battles, including over 30 general strikes. The result, over a year on: a Syriza-led government which now confronts general strikes against its policies. This crushing reality was bound to have far-reaching consequences. After all, the eyes and hopes of workers, youth and the oppressed around Europe had been firmly placed on Greece and Syriza, keenly observing its experience. This experience, of months of fruitless negotiations, of naïve appeals to the reason and better judgement of the Troika, all leading up to a crushing defeat, was a school for the workers movement and Left around the continent and globe. Lessons were bound to be learned. Though initially, and understandably, shock and disappointment dominated, the case of Syriza and Tsipras was an episode which could only raise the level of understanding of many working class people about the nature and character of the system, and of the EU and euro themselves. And this has indeed happened. The development of the position of the Portuguese Left is a case in point. In recent years, Portugal provided an important part of the theoretical and ideological under-pinning of the Left’s pro-EU position. Leaders of the Left Bloc, such as Francisco Louca (a member of the USFI –‘United Secretariat of the Fourth International’), coined the phrase “Left Europeanism”, to describe their outlook. They argued vehemently against any question of leaving the EU or Euro, as “not internationalist” positions. The solution to the European crisis, they claimed, could only come from within the EU and progressive policies had to be translated into demands on the EU institutions. Thus, in the face of the sovereign debt crisis, the Left Bloc championed the demand for “eurobonds” – “mutualisation” of public debt, through which Europe’s strongest economies would share the burden faced by the likes of Portugal and Greece. The Left Bloc’s MPs voted in favour of the Troika’s 2010 “bailout” programme to Greece in parliament, merely demanding that the bailouts take on a more social character. They demanded that the European Central Bank be “democratised” and lend to peripheral countries at lower interest rates, akin to those offered to the private sector. Their position was based on the mistaken perspective that there would be a meaningful and profound integration in Europe, overcoming national tensions and interests, on a capitalist basis. From this flowed the logic of their “Left Europeanism”. The CWI opposed this perspective, explaining the unsurmountable limits to the capitalist European unity project. This process could make certain strides forward in the context of economic growth, but once crisis set in, this must and has indeed come to an end. The pro-austerity, anti-working class actions of the Troika in Portugal represented not just a series of “political choices” determined by the composition of the European parliament, or the like. These policies were driven by naked class and national interests pursued by the forces in control of the EU project – essentially big European business and finance, led by Germany and the central and northern European powers – with the blessing and support of Portuguese capitalism. We argued that attributing such noble progressive tasks to the EU and Troika institutions, beyond merely being unobtainable, also served to obscure the real character of these institutions, assigning the EU a “social” role which it could not, by definition, play. When the Troika’s intransigence before the infinitely more timid pleas of the Greek government was revealed for all to see, these warnings were borne out. Consciousness within the Left itself on the issue, and the Left Bloc membership and leadership, turned dramatically. 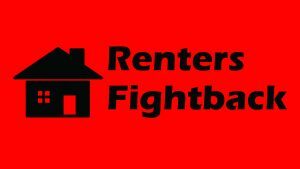 A Left opposition document (Motion R) to the June convention, which Socialismo Revolucionario (CWI in Portugal) members support, goes further, calling for the immediate formation of a Left Bloc commission to examine the practicalities and consequences of leaving the Euro. With the Portuguese Communist Party’s longer-standing (though not rounded-out socialist and internationalist) opposition to the euro and EU, the Portuguese Left as a whole has thus moved sharply in the direction of a clearer position of opposition to the capitalist EU and Eurozone. Of course, for this better abstract understanding of the nature of these institutions to be reflected in practical policies is not straightforward for the Left Bloc’s leadership. Indeed, their current policy of propping up, along with the Communist Party, the government of the ex-social democratic “Socialist” Party, will pose the question directly of a confrontation with these institutions and the need to fight for an alternative. 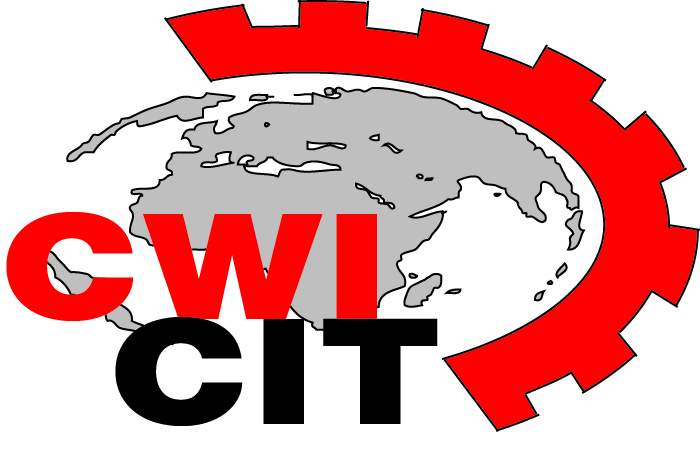 Socialismo Revolucionario (CWI in Portugal) fights for a united front of the Left parties, social movements and trade unions to demand a radical break with austerity and put pressure for genuine reforms, from an independent position, on the government. 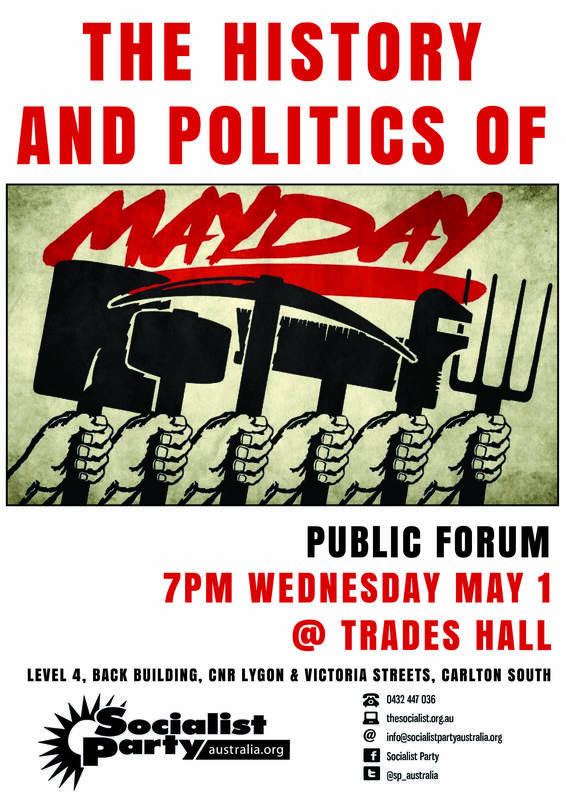 Ultimately, while struggle can win individual reforms now, such a united front needs to pose the question of fighting for a genuinely socialist government – which the now capitalist PS cannot constitute – to end austerity and implement policies of rupture with austerity and capitalism. Across the border in the Spanish state, similar winds are blowing. While the leadership of Podemos ultimately endorsed the betrayal of Tsipras, with Pablo Iglesias saying he would have done the same thing, others have learned more pertinent lessons. Izquierda Unida, which won a million votes in last December’s elections and with which Podemos has formed an electoral alliance for the June 26 general election re-run, has a new leader from the left of the party, Alberto Garzon. Under his leadership, a general shift to the left in programme and rhetoric has taken place. The question of the EU and Euro has been no exception. Both the IU and the Communist party combine their opposition to the EU with calls to build an international alliance of workers’ and Left struggles for an alternative. Garzon has held out the prospect of a Southern European political union of Left governments – modelled on ALBA (the alliance of progressive governments in Latin America promoted by Hugo Chavez in 2004). Though the ALBA governments essentially failed to break with capitalism, this correctly points to the international impact that a government of rupture with EU austerity and capitalism would have, laying the foundations for an internationalist alternative. Again, as in the case of the Left Bloc, whether these noble ideas are to be translated into a practical policy remains to be seen. 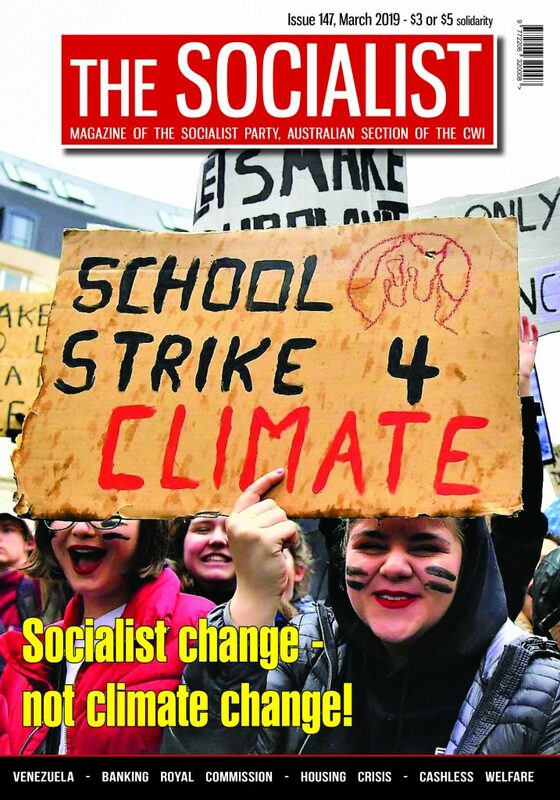 Socialismo Revolucionario (CWI in Spain) argues for the urgent need to arm the Left and working class movement with revolutionary socialist policies, as the only way to way off the threat of a Spanish Tsipras. For any government with a mandate to end austerity in the current context, the nationalisation of the banks and major companies under democratic control, the implementation of capital controls and non-payment of the bondholders’ debts are fundamental policy prerequisites for avoiding capitulation and betrayal. Central to a Marxist viewpoint is the understanding that consciousness evolves based on material circumstances. The experience of events assists workers and youth around the world in obtaining a clearer understanding of the situation facing them and the tasks in their struggle. This movement among the Left in southern Europe towards clearer opposition to the capitalist EU, under the impact of the deepening crisis and abject failure of Syriza’s euro-reformism, represents precisely this. In those countries closest to, and thus paying greatest attention to, the Greek situation, the character of the European institutions has been more clearly registered. However, in Britain, where the referendum campaign over ‘Brexit’ has entered its final stages, this process seems to have had less of an impact on the tops of the working class movement. The majority of trade union leaders, and of leading Left figures in the Labour party, including Jeremy Corbyn himself, have taken, however reluctantly, a “Remain” (in the EU) position. This stands in marked contrast to the 1975 referendum, when left-wing Labour and trade union leaders led the campaign to oppose remaining into the EU’s predecessor. This partially represents a hangover from the past period, in which illusions in a “social” EU project dominated most of the Left. In Britain, this approach was largely adopted as a defeatist response to the defeats of key struggles and movements in the 1980s. European institutions, these leaders hoped, would help to protect rights and conditions which they themselves had failed to protect through militant and united struggle. Many trade union leaders turned to the EU in an attempt to cover-up their own failures, particularly leaving isolated the 1984/5 miners’ strike and those local councils, led by Liverpool, which were refusing to implement government ordered cuts. Now, beyond just lamenting the cruel treatment of Greek workers by the EU, those Left and workers leaders who argue today for “Remain” have drawn no political conclusions from the Syriza experience. In fact, they merely display sympathy with the Greek working class before regurgitating almost verbatim the arguments of the leadership which betrayed it. Of course, the fact that both sides of the Brexit referendum campaign are led and dominated by the reactionary right wing, is a factor which cannot be ignored. However, this factor is itself a consequence of the position taken by these individuals and forces. As the Socialist Party (CWI in England & Wales) has repeatedly stated, if the union and Labour leaders had come out for a pro-worker “leave” vote, the whole dynamic of the campaign would have been altered. As these illusions – which everyone must admit did exist in almost every European country – in the EU as a force for progress are being broken down among the masses themselves, the pro-EU left has found itself caught out and out of touch with developments. As is often the case, the leaders of the workers movement are behind the curve, out of step with the outlook of the more conscious elements of their base. In 1915, Lenin wrote that “a United States of Europe, under capitalism, is either impossible or reactionary”. His basic reasoning, that the conflict of interests between Europe’s dominant national capitalist classes could not be papered over, still applies to the current situation, and the capitalist European unity projects of the EU and euro. During the current crisis, national tensions have blocked any possibility of a genuine united European response to the key issues the continent has faced, from sovereign debt to the refugee crisis. National tensions, and the refusal of one set of national capitalists to “share the burden” of the problems of another, is precisely what is behind the dead end of aforementioned debt “mutualisation” and “eurobonds” policies defended by the pro-EU Left in the past. Of course, the EU and Eurozone represent an extent of international integration and collaboration between different national capitalist classes which has gone some distance. However, the crisis and “centrifugal” tendencies which it has revealed in Europe show the real limits of the nation state and conflicting national capitalist interests which still exist, and that even the current level of cooperation and integration, including the euro currency, cannot be permanent. The superficial implication that the EU, and support for remaining within it, is somehow “internationalist” is also something which experience undermines. While it is true that national tensions and contradictions under capitalism are an obstacle to genuine European unity, it is also true that even the limited alliances and partnerships which capitalist states do constitute are never formed on an equal basis. The European Union, as with other capitalist international alliances, is in reality less an “alliance” and more an institutionalised subordination of the weak to the strong. Rather than even up the scales of Europe, bringing the economies and living standards of the peripheral countries closer into line with the core European powers, such as Germany, France and Britain, the EU and Eurozone has achieved the opposite. From an economic point of view, it has promoted and accelerated the deindustrialisation of Europe’s periphery, thus creating a competition and barrier-free and stable local market for German and other central European industry. The gulf between the strength and viability of the German economy compared to the Spanish, Portuguese, Irish or Greek, has thus widened rather than narrowed under EU influence. From a political point of view, it has immeasurably undermined the sovereignty of national governments, with austerity policies imposed at the behest of foreign institutions, with a real effective control over budgets and policies. The Troika’s bailouts intensified this even further. Commentators have compared the level of political autonomy of the Greek government to the European powers, to that of a German Federal state to the central government. This situation, storing up great explosions, can only ultimately lead to the union’s downfall. The EU is thus little more “internationalist” in relation to the most down-trodden countries of Europe than was the British Empire to its colonies! For socialists, international cooperation and unity are an objective necessity. 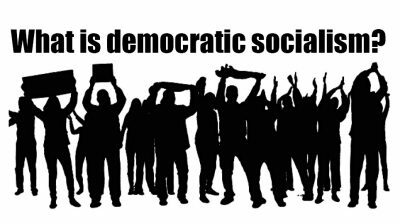 Only the integration of world resources and industry into a European and world plan can create the conditions in which democratic socialist economic planning can thrive, allowing production and living standards to reach a new level across the globe. Capitalism as a system is incapable of uniting Europe, as experience has demonstrated. The ownership and control of national capitalist elites – represented by major banks and corporations, as well as governments – over the wealth of the world, and the competition between them, has historically been the axis of the national conflicts on the continent. Only on the basis of the democratic socialist, common ownership and control of major wealth and resources can the logic of national antagonism in Europe be broken, and genuine unity achieved. The opposition of socialists to the EU and Eurozone, has nothing in common with narrow nationalism. For us, in the struggle against the capitalist EU, the foundations for an internationalist socialist European alternative must indeed be laid. On 14 November 2014, at a high point of active working class resistance to austerity in Southern Europe, an international day of struggle saw general strikes and partial general strikes in Spain, Portugal, Italy and Belgium, with mass strikes and protests also taking place in Greece, France and elsewhere. This unity in struggle against the EU governments’ austerity policies shows the potential basis for an alternative Europe, forged in the course of these struggles and mass movements. A socialist government in a single European country, basing itself on the organisation and mobilisation of the working class to implement a 100% anti-austerity programme would be a powerful beacon across the continent. Breaking from the EU and euro on this basis, an appeal to form an alternative socialist European federation would provide a powerful impetus to revolutionary developments around the continent. A voluntary socialist federation of Europe would be firmly placed on the table. This is the horizon which the Left throughout the continent must set for the struggle against austerity in all countries. However, it is impossible to reconcile such a perspective with one of remaining within the EU, “until international conditions mature sufficiently” or until more socialist governments are elected in other countries, shifting the EU balance of forces towards the left. This can seem plausible in the abstract. However, what such a position does not take into account is that this “postponement” of the moment of rupture is not only a delaying tactic. Meanwhile, a concrete, austerity anti-working class policy would be imposed on any government, bringing it into conflict with the working class, as Greece has shown. Despite the best laid plans of reformist leaders, the international class struggle does not allow for stable and perfectly coordinated transitions, implemented simultaneously in every country, via the ready-made international institutions of capitalism. If it has not already disintegrated on a capitalist basis, overcoming the capitalist EU will require the rupture of individual socialist government, or group of governments from it, opening up a breach through which the European working class can move to build a new international alternative.